Kapuze im Kragen. austrennbare Innenjacke. Premium-Feldjacke in schwerer Qualität. Concealed hood in the collar. Concealed hood. Removable liner making it the perfect jacket for all weather conditions. Velcro adjustable cuffs. 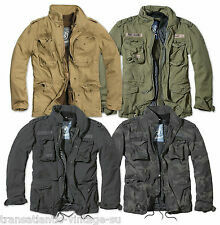 This jacket has an outer shell made from 100% cotton. Zipper and storm flap with press studs. 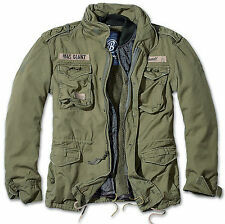 Brandit m65 Giant campo chaqueta, Parka us style chaqueta con forro ejército Army! nuevo! 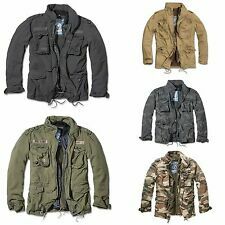 Brandit señores chaqueta m-65 Giant invierno chaqueta campo chaqueta Parka 2 en 1 s hasta 7xl!! !